Being pioneers in the industry, we are engaged in offering extensive range of Coil Winding Machines. Our products are used in various industries for their rust free nature and trouble free functioning. We provide Coil Winding Machines to our clients as per their needs and known for their durability. Besides these, we provide products at affordable rates. 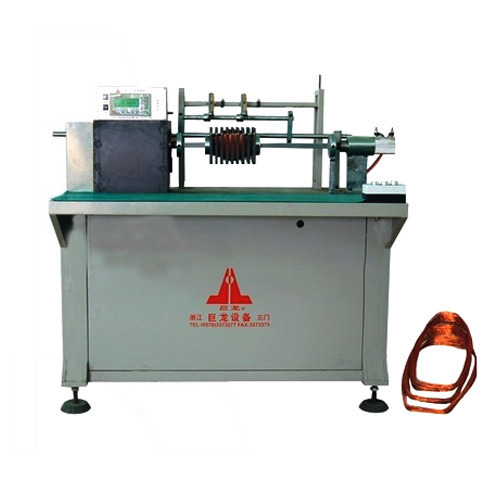 Usage: Suitable for automatic wire winding and arraying of continuous winding multi-segments coil. Nide Technologies is basically a sole proprietorship based company. Nide Technologies is expertise in this field for the last 17 years and importing and supplying since 2010 from Bangalore Karnataka, India. Nide Technologies is engaged in importing and supplying huge array of Roller Bearings, Ball Bearings, Carbon Brushes, Motor Shafts, Motor Commutators Thermal Protectors and many more. The products offered by us are highly tested for their quality assurance before dispatched to the customers. We at Nide Technologies constantly strive for providing best quality, most reasonable price and huge range of quality product to the customers. We always try to improve ourselves to provide users with more perfect products and satisfy their entire requirements. Our company is backed with advance technology and quality is the essence of business survival.